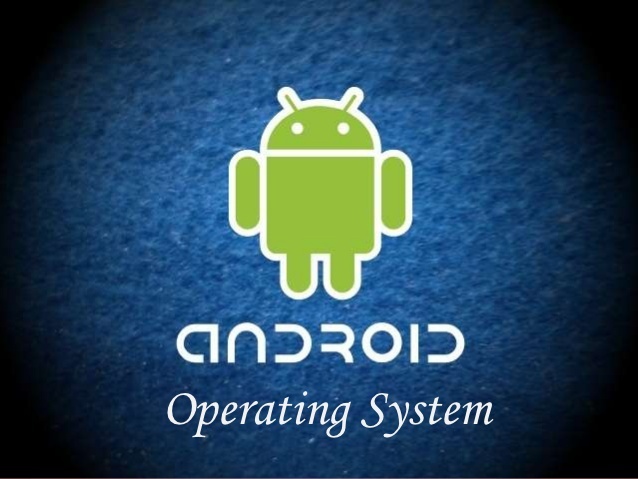 Android is one of the most loved operating systems for developing comprehensive mobile apps. But this platform keeps releasing updated versions at regular intervals of time. Google is the driving force behind Android and all its products. But now, Google has decided to make this process of updating much transparent with the tech geeks and programmers from any Android app development company by offering them the facility of beta testing. This facility allows professionals to actively participate in the improvement process so that to help Google by reporting the bugs they find in the version update. Android platform has extensively evolved over the past four years. It has gone through three significant operating system updates. Let’s explore each of these in detail and compare their features. Android Marshmallow or Android 6.0 was descendent to the previous version Android Lollipop which is also called as Android 5.0. It has introduced in 2015 at the Google I/O Developer Conference. This version is best known for redefining and enhancing the Material Design UI which was introduced in the Lollipop update. Also, it allows developers to add the ‘Google Now’ access into Android applications by incorporating a unique ‘Now on Tap’ functionality. Ensure this functionality is addressed during the mobile app prototyping phase. Its sole motive is to enhance the overall experience of the Lollipop OS update users. This is the successor to the Marshmallow update which was released at the end of 2016. Earlier it was known as Android N or 7.0 but later the company changed its name. One of its most striking features is the ‘Slip Screen’ which let users do multi-task easily. Here, Google has tried to improve the performance of the mobile operating system as well as the graphics section. This is the latest version of Android that is serving as the backbone of thousands of mobile devices and tablets. Oreo is the successor to the Nougat and was introduced with the Google’s two new smartphones: Pixel 2 and Pixel 2 XL. This update was primarily focused on ‘Vitals’ and ‘Fluid Experiences’, which means that it provides the Oreo users with the seamless flow and overlapping of elements on the screens. Nougat has an issue with notifications that was addressed with Android Oreo. It introduced a feature of ‘Notification Channels’ which allows users to block individual notification channels without disabling all the notifications of an entire app. The sole aim of this feature is to prevent end users from missing some crucial piece of information. Also, it saves them from getting spammed by continuous notifications. This feature is much like Snooze because it lets you directly snooze an individual notification and dismiss it on a temporary basis. Oreo introduced the feature of ‘Notification Dots’ that has completely changed the way in which users interact with apps. For instance, when a user gets a notification from a particular app, a dot will appear there. And they can view these notifications by long-pressing on that particular application. Struggling for battery life is a common issue with Android devices. But Google has tried to resolve this problem by providing a robust battery life with Oreo update. They have been trying to make changes since the days of Lollipop but finally achieved with Oreo. With the help of ‘Doze’ feature of the Marshmallow release, the mobile devices opt for a deep sleep mode in order to conserve battery. Moreover, Nougat also tried to include a couple of features related to ‘Doze’ but Oreo was the one who nailed it. This is one of the most user-friendly changes introduced by Oreo. Its sole purpose is to enhance the overall experience on the Android platform. Prior to Oreo making it official, this option was only available on Chrome. This feature allows password managers like 1Password and LastPass to automatically fill the passwords of the users without any manual aid. Oreo introduced a unique feature which was called ‘Split Screen’ to support seamless multitasking or to facilitate multi-window support. Also, this version included the picture-in-picture mode, which is a user-friendly change to the Android operating system. Android Nougat made users aware of the multitasking techniques that can give a boost to their efficiency, but the motive is fulfilled with the ‘Split Screen‘ option given by Oreo. As we discussed earlier, in order to solve the issue with battery life, Marshmallow introduced the feature of ‘Doze’. But this feature gets activated when the mobile device has been in a stationary state for an appropriate time period. For example, features like Wi-Fi will be turned off when not used for a significant period of time. But Google has redefined this feature with Nougat by making it capable to activate itself when the screen of the mobile device is off. In order to make a huge impact on your battery life, Nougat turns off your cell network access. Some of the aesthetic modifications have made Nougat a unique version that is different from all others. Two of these most popular changes were multitasking ability and RCB settings adjustments for developers. This feature has made it easier for the users to split their screens effortlessly and switch from one app to another with ease. It’s true that Marshmallow also supports multi-window feature, but not to that extent which was required by the end users. Marshmallow forced users to struggle with a chaotic situation with their notifications. But this issue was addressed with Nougat as they introduced a notification panel that took control over the entire mess. This panel allows users to view all their notification alerts from different apps in a much-sorted manner. In a nutshell, Nougat treated the notification alerts from a single app as a small bundle of pop-up notifications that the users can reply in accordance with their convenience. This feature was not available in Marshmallow. These three are the major updates in the Android platform. Among these, Marshmallow tried to introduce unique features, but couldn’t be successful to a great extent. Nougat was the one that compiled many superb functionalities, but with Oreo, all these modifications were further enhanced. And the users get polished apps with best-in-class user experience and improved performance.